EVGA started its 2Win edition graphics card with the GTX 460 2Win that featured dual GF104 GPUs on a single board. 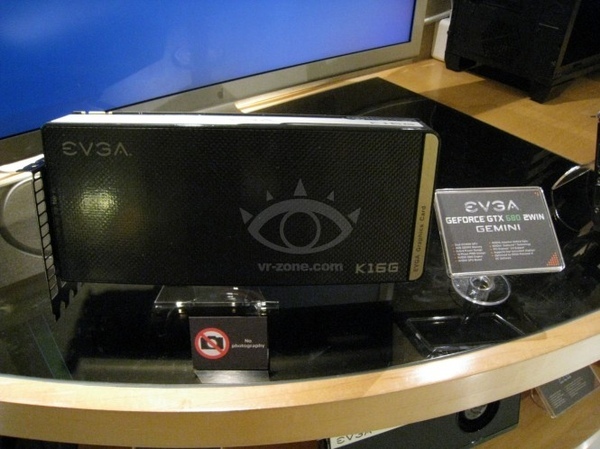 This time EVGA has come up with the GTX 680 2Win Gemini Graphics Card. The card is based on two Kepler GPUs namely GK104 that feature higher clocks than the dual gpu GTX 690 as well as a 8+8+8 power section design with a 16 Phase PWM with 4 GB of GDDR5 memory. The card itself is so large that it takes space of 4 PCI lanes. The card supposedly also has higher clocks than the ASUS MARS III to take the leading crown in terms of performance. This will easily be priced somewhere to around 1000 USD when it hits the market. Since what you’re looking here is at the one of the most powerful graphics cards ever made.